Happy summer from New York City!! I hope you all are doing awesome and have been enjoying fast-flying golden months of the year. So at the end of last school year, I applied for one of the summer Dale Awards. It's a scholarship that encourages students to pursue a personal project, something you love or have always wanted to do. Rather than stipulating a certain final required outcome, the award is more about the project experience and the fruit of growth and exploration that blooms from it. Basically, the Dale spurs you to go and live the summer of your dreams. Not bad, not bad. I have been fortunate enough to be one of the 15 sophomores taking this summer to pursue a project with the help of the Dale Award. 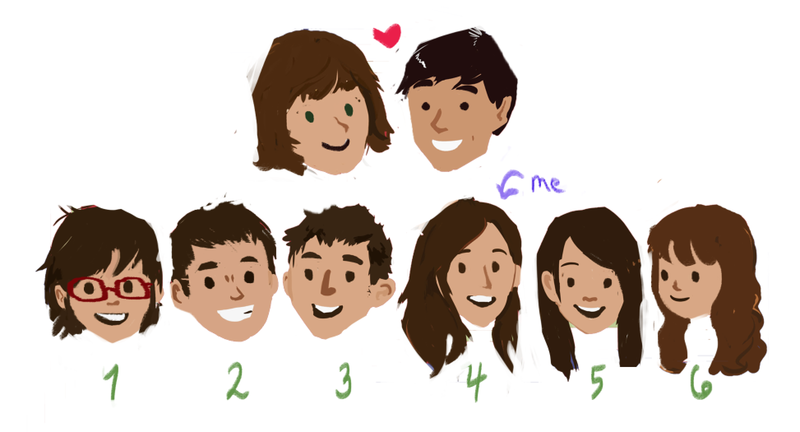 My proposal entailed writing and illustrating adventures about growing up as one of six siblings in Hawaii and the Middle East. I really, really love my family and could write about them forever. This is the most depressing thing ever, Aliisa! But the great thing is, it's not. Memory can be looked at as sweet past melted into nothingness, or as a celebration of an awesome backstory that brings me to who I am today and will forever fuel who I am becoming. And that's something to celebrate. So what I wanted to do this summer was to write, collect and illustrate stories and memories of growing up. My proposal placed me in New York City, where I could take courses at the School of Visual Arts (SVA) as I illustrated stories this summer and in the days ahead. Plus, what better place for creative inspiration than the Big Apple? While I initially set about trying to do longer narratives and involved illustrations, a thousand other details and moments would come pouring in every time I tried. I found myself stifling the little things for the sake of clarity, but pretty soon realized this defeated my purpose. The past come in snapshots, instances and images, scattered pieces of blue and the smell of sun-baked brick.This project was not to shape my life into a comprehensive arc, but rather to gather memories pure and uncontrived. I see it like this: My wealth of memory comes not in one giant check, but in a whole lot of bright, winking coins. And I want to collect them all. 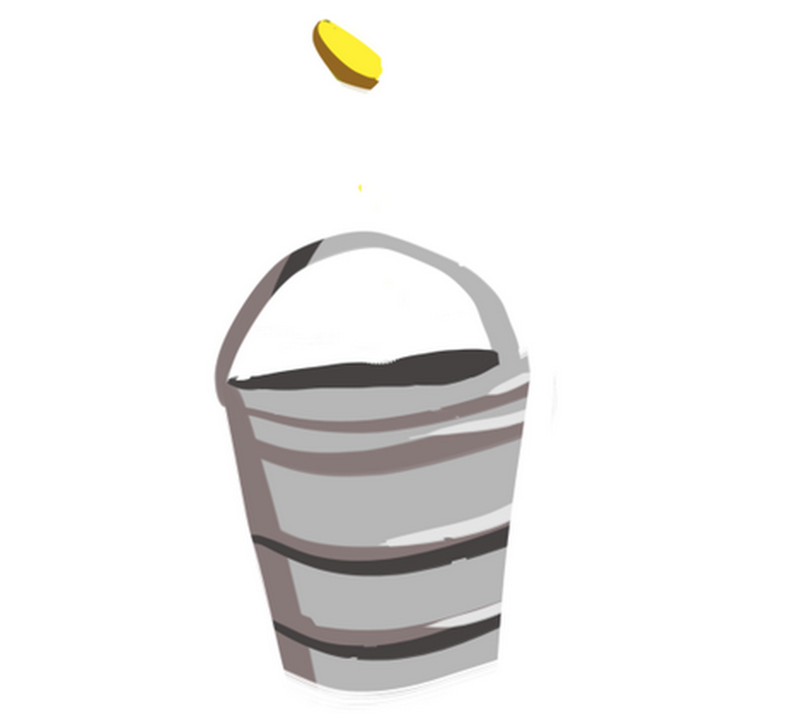 So I've since set up a site to post writing and drawings and make it easy for my family members to submit their own memories ("drop a coin in the bucket"). Just about every day, I've been writing and illustrating my own entries or ones submitted by my family. 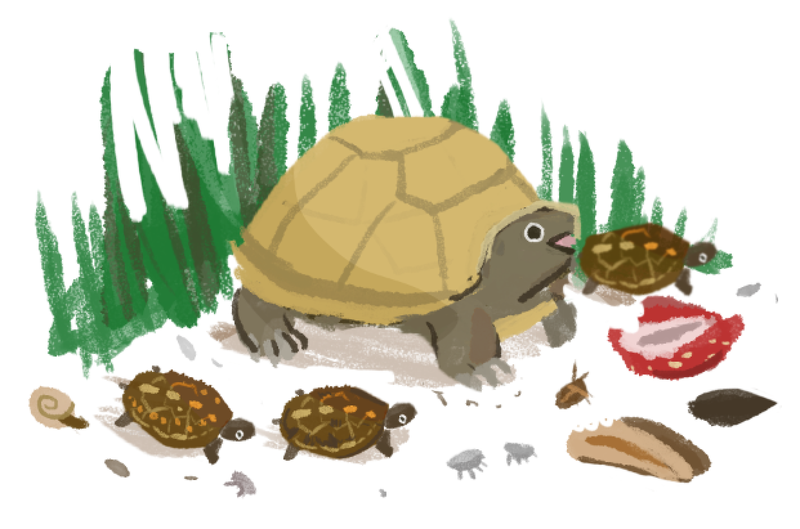 Stories and memories centered around the box turtles who lived in our little backyard (we had nine of them at one point). 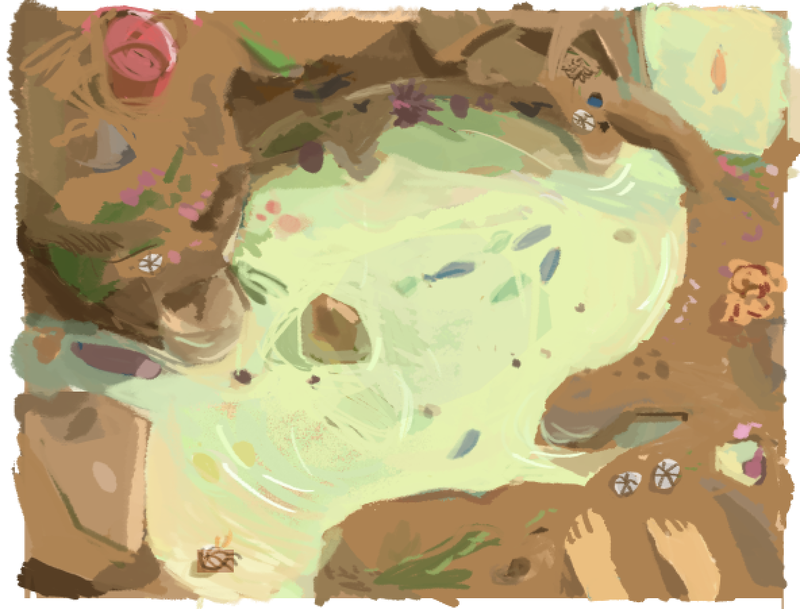 Stories and memories about playing in the tide pools, each their own little universe of life for us to explore. 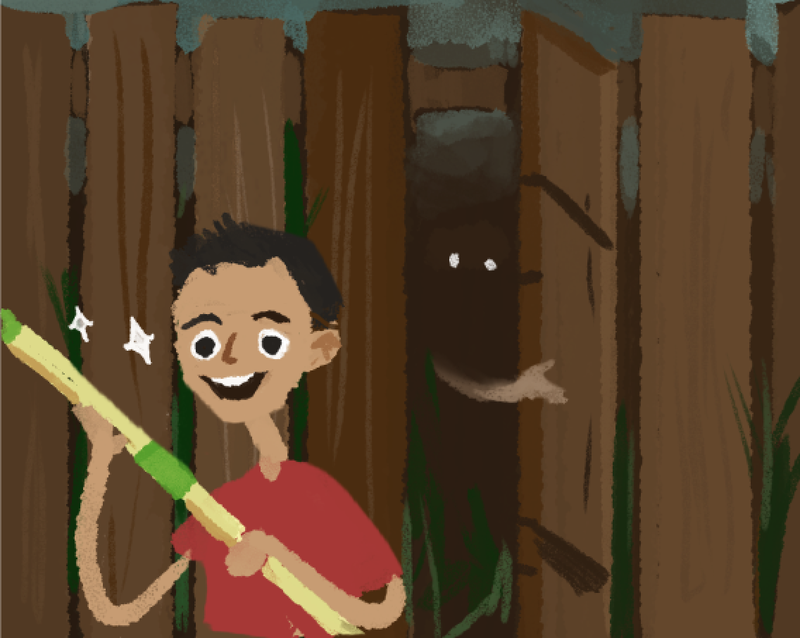 Classic Lee family stories, like that time our neighbor Bobby snuck through the back fence pretending to be a monster and startling my brother Anders so badly, he beat Bobby over the head with a giant Omagle stick. Good times, good times! The process has been fantastic. I get to draw and write with no pressure to make things perfect, but with a motivation to capture the feeling remembered. All eight of us have been getting a kick out of reminiscing and recollecting. It's really special to take this pause in my life, somewhere between childhood and full-fledged adulthood, and lovingly record and illustrate some very blessed, very fun days. Part of my project entailed taking classes at the Cartooning and Illustration department of the School of Visual Arts to supplement my abilities in art. There were some adventures at the start of the summer with course offerings, but the classes I've ended up with have been perfect. One of the classes is taught by Tristan Elwell, who actually illustrated the cover to some of my favorite books growing up. 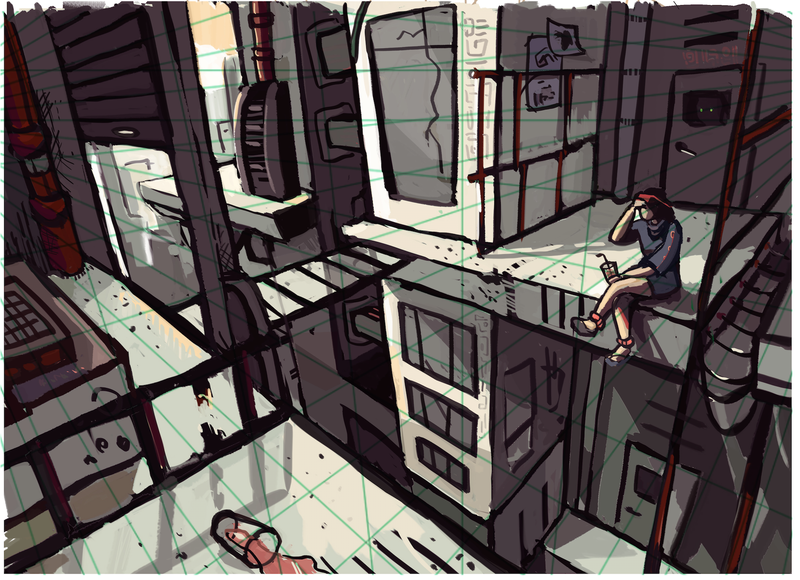 The course serves as a comprehensive rundown of basically everything art, from perspective to the human form, to color to composition and storytelling. It's designed to be helpful at all levels, from people who are just beginning to dabble in the art, to professionals who want to fill in gaps in their ability or sharpen their knowledge. In the class, I've done a lot of really helpful theory and figure drawing in pencil, while applying our assignments to digital art. The second class focuses on the art of the graphic novel, taught by cartoonist and illustrator C.M. Butzer. The class focuses on aspects of comics or visual storytelling, a look into the industry and the creation of our own short comics under the instruction and guidance of our instructor and peers. I haven't done much in comic form before, so this was a really nice way to poke my head into that world. 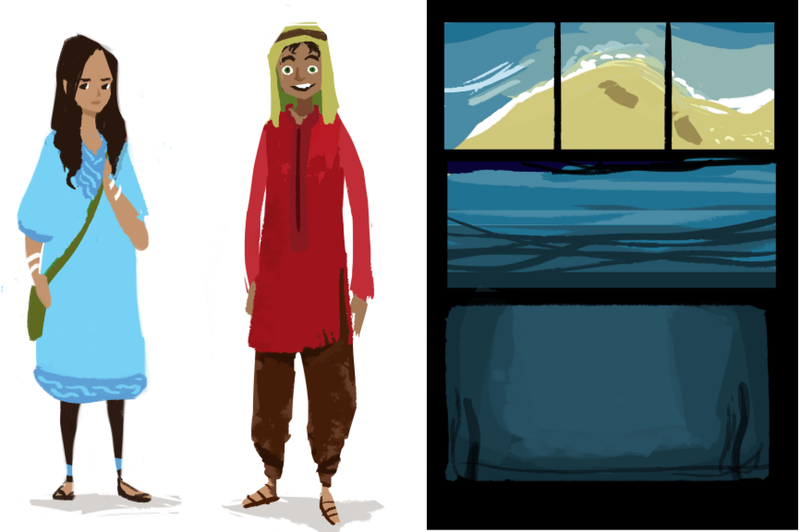 My project is a little fiction about a fisherman's daughter who finds herself in a desert kingdom. I wonder where the inspiration for those worlds came from? Both of these classes have been amazing not only for the skills I've been learning, but for the people I've been able to meet. Since the courses are SVA's summer continuing education program, I've been able to take class with a whole bunch of people whose ages and professions differ from mine in a way that you just don't get in college. I've learned a lot from my "classmates," and I don't know when I'd be able to make these kinds of connections and friendships otherwise. That's been my ongoing Dale summer project! Stay tuned for the second half of this little summer update.